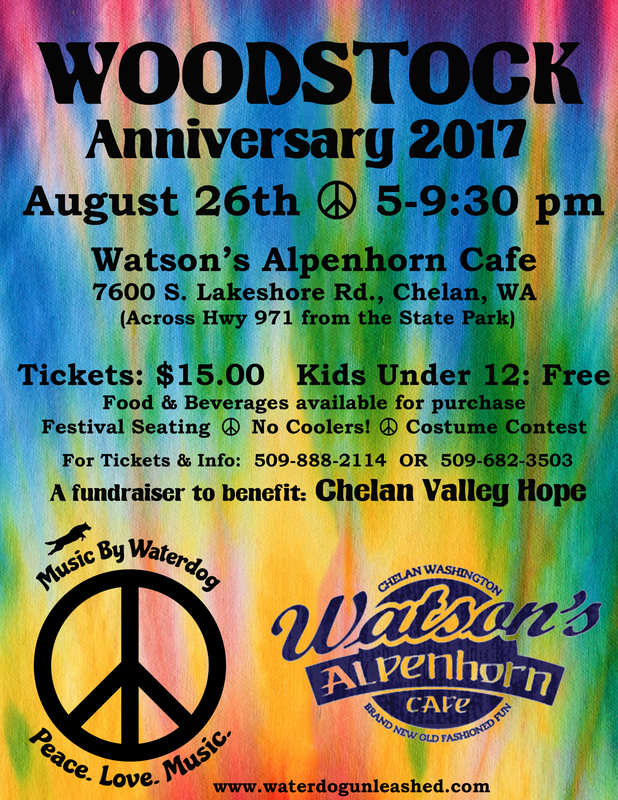 This Family-Friendly event has been an annual “Happening” in the Chelan Valley since the 40th Anniversary of Woodstock in 2009. In 2015, the Anniversary Concert became a fund-raiser for Chelan Valley Hope. 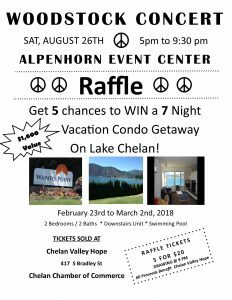 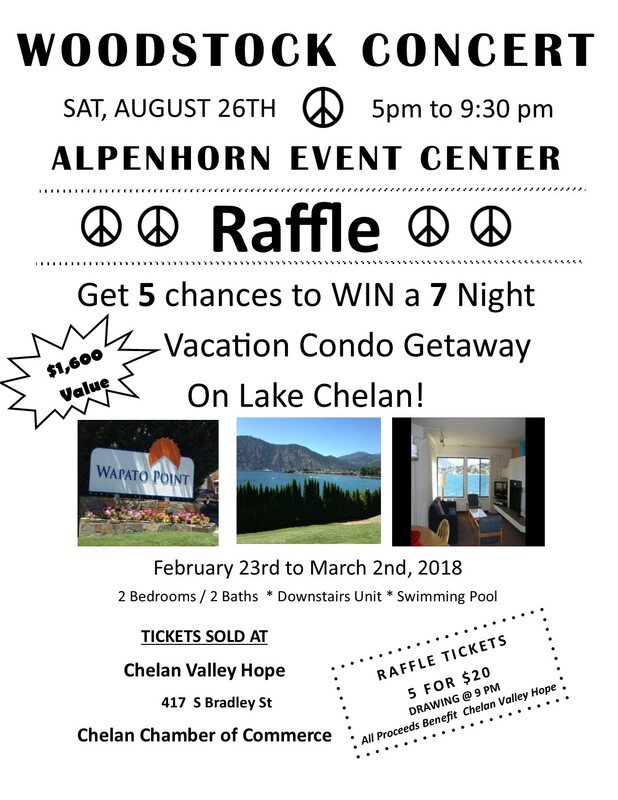 All monies received for Ticket Sales, Food & Beverage Service in the Alpenhorn “Outback,” T-Shirts and Event Sponsorship will go directly to help Chelan Valley Hope continue its commitment to serving the underserved in our community.